Richard Archer was born in Leicester, educated at Wyggeston Boys' Grammar School, Leicester, and at the University of Durham, where he gained an Honours Degree in Modern Languages; whilst there he was an organ scholar of Hatfield College. He studied with Dr. George Gray, Dr. Ben Burrows and Noel Rawsthorne. He has taught modern languages in education, latterly at Stoneygate School. A Fellow of the Royal College of Organists at 18, he holds the Archbishop's Diploma in Church Music (the highest award available by examination to a church musician). He is also a Bachelor of Music of Trinity College, Dublin, and a Master of Music of the University of Sheffield. He recently completed research (M.Phil) into music within English twentieth century Nonconformity (University of East Anglia, Norwich). Prizes in organ-playing competitions include the first prize in the Richmond Festival Organ Competition in London. He has been organist at Leicester Philharmonic Society concerts, and is the Director of Music, St John the Baptist, Clarendon Park, Leicester. 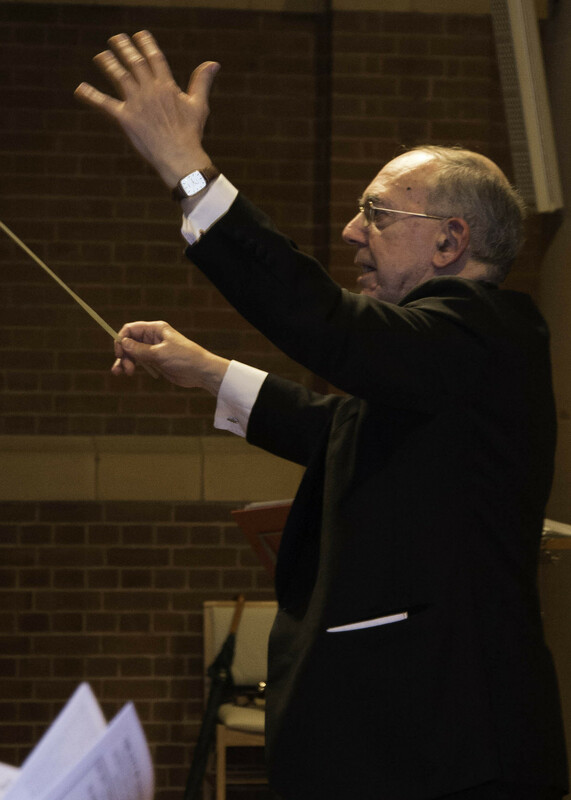 Richard has been the Conductor of The City of Leicester Singers since 1992. Under his guidance the Choir has gained strength in all directions and now presents four major concerts a year. He is also conductor of Hinckley Choral Union and The Jubilee Singers. He is studying the organ with Gerard Brooks in London. What’s calming, therapeutic, imparts a sense of personal and communal well-being, improves mood, provides enjoyment and uniquely combines the physical, the mental, the spiritual and the artistic? In The City of Leicester Singers, an SATB choir with a strong social commitment, we aim to provide all of the above. Our repertoire is varied – composers of different nationalities, music sacred and secular, accompanied and unaccompanied, with a variety of languages and a resolve to perform works of living composers. A willingness to learn and give things a try is at least as important as vocal ability. It obviously helps to be able to read music to some degree, but this is not essential.